Higher education in Malaysia is facing many challenges including rising costs, low repayment rates of the National Higher Education Fund (Perbadanan Tabung Pendidikan Tinggi Nasional, PTPTN), and the need to continuously improve educational quality. 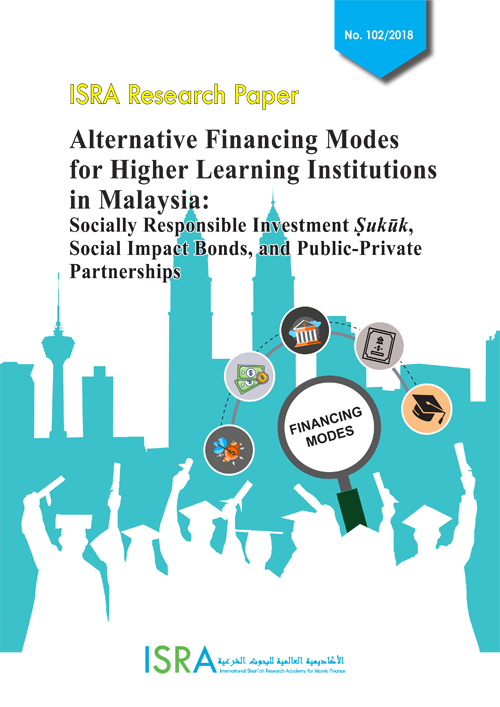 In addressing these challenges, the Malaysian Ministry of Higher Education (MOHE) has focused on efforts to achieve “financial sustainability” of higher learning institutions (HLIs) (Ministry of Education Malaysia, 2015). This effort is one of the ten main shifts outlined in the Malaysian Education Blueprint 2015-2025. To achieve this, the blueprint highlights three key initiatives: to link government funding to performance; to reform existing student financing mechanisms; and to encourage HLIs to diversify funding sources. This study is part of the effort to address the issue of achieving financial sustainability of HLIs. In doing so, the International Shari’ah Research Academy for Islamic Finance (ISRA), in collaboration with the Institute of Islamic Banking and Finance (IIiBF), International Islamic University Malaysia, embarked on a study exploring alternative financing modes for HLIs: sustainable and responsible investment (SRI) ṣukūk, social impact bonds (SIBs), and public-private partnerships (PPPs). (1) To explore models of Sharīʿah-compliant capital market social impact bonds (SIBs), sustainable and responsible investment (SRI) ṣukūk, and public-private partnerships (PPPs) fund-raising for HLIs. (2) To identify key critical success factors in developing alternative financing modes for HLIs. (3) To analyse the strengths and weaknesses of each model. (4) To propose the most suitable Islamic capital market model(s)/instrument(s) for adoption by HLIs and government in Malaysia to ensure the sustainability of HLIs. The study proposes two ṣukūk structures with payment-by-results mechanisms: SRI ṣukūk based on wakālah bi al-istithmār (wakālah ṣukūk), and temporary and permanent cash waqf (waqf ṣukūk). The issuance of the ṣukūk aims to become an alternative to a portion of government spending on higher education in the short run. The savings from unused spending can be set aside for investments and used for other higher education initiatives in the future. Furthermore, this may allow HLIs to become more empowered in terms of their autonomy and governance as they are not directly relying on government funds. The proceeds from the ṣukūk can be used for both operational (e.g., wages and bills) and developmental (e.g., new buildings and facilities) funding for the HLIs. The type of ṣukūk issued would depend on the HLIs needs as well their available resources that may help support the purposes of the issuance. The study proposes the development of both ṣukūk under the Malaysian SRI ṣukūk framework as it has proven to be a comprehensive and robust framework that encourages new innovative issuances. Such issuances can promote and spur the growth of socially-motivated fundraising and the social financing segment, which is still nascent in the Malaysian market. In terms of both ṣukūk structures, the study proposes that guarantees be provided by the government and that tax incentives be provided for both the issuer and the investor. In particular, the funds used to invest in the ṣukūk should be treated similar to CSR funds, which have certain tax advantages such as tax deductions and exemptions as stipulated under the Malaysian Tax Act. For the wakālah ṣukūk, it is recommended that the capital be guaranteed by the government and that ṣukūk holders get returns depending on HLI performance or achievement of set KPIs. Returns can be structured either step-down or step-up depending on the appetite of investors, which can be determined through market research and roadshows. In the case of step-up, returns are provided parallel to performance or achievement of KPIs. The higher the success, the higher the returns, to a certain cap. This is a similar structure implemented for the return mechanism in social impact bonds (SIB). On the other hand, returns for step-down are opposite to performance. For example, if KPIs are achieved, returns are not provided; the investors may even waive a certain portion of their claim to their initial capital as a contribution towards the social cause. This is similar to the mechanism found in the first SRI ṣukūk in Malaysia, the Ihsan SRI Ṣukūk. For the cash waqf ṣukūk, there are two types of ṣukūk holders: temporary and permanent cash waqf ṣukūk. The permanent cash waqf ṣukūk holders do not get back their initial capital as their investment is fully utilised perpetually for the benefit of the beneficiaries. For the temporary cash ṣukūk holders, on the other hand, the return of their capital may depend on the performance or achievement of certain KPIs. This may also be structured as either a step-up or step-down return mechanism depending on the appetite of potential investors. For example, for step-up, if the KPIs are achieved, the temporary cash ṣukūk holders get back their capital. However, in the case of step-down, the temporary cash ṣukūk holders may fully or partially convert their investment into a permanent waqf depending on the degree of success in achieving the KPIs. 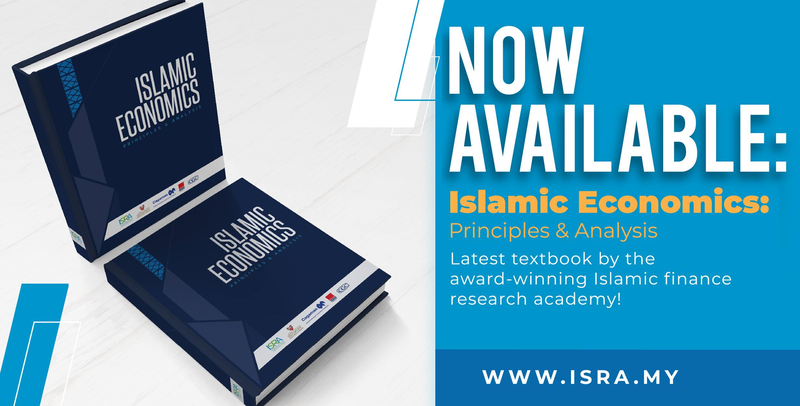 The structure of this report is as follows: after this executive summary, Section 1 serves as an introduction to the topic, which includes the background and objectives of the study, the aim of the report, the research methodology, and the scope and limitations of the study. Section 2 outlines the preliminary models developed from a critical literature review. Four preliminary models were presented to experts during interviews for their consideration and feedback. Their recommendations and the insights obtained from them have been considered for the final proposed models. Section 3 of the report elaborates on the proposed ṣukūk structures: the SRI ṣukūk based on wakālah bi al-istithmār and the cash waqf ṣukūk. The main Sharīʿah contracts employed in the structures, transactions flows and SWOT analyses are discussed. The Sharīʿah contracts and concepts include wakālah (agency), ujrah (fee), waqf (endowment), qarḍ (loan), ḍamān (collateral), takāful (Islamic insurance) and reserve funds. For the cash waqf ṣukūk, some discussions on the permissibility and the Sharīʿah justification of the temporary cash waqf are delineated.